Easter is a pretty great holiday. Not only is it the most important (and oldest) festival of the Christian Church, but it means that a candy celebration is just around the corner. While it’s great for kids to wake up and see their baskets have been filled with Cadbury goodness (and maybe a dollar or two stuffed inside a plastic egg), there are a few candies that might not be too appropriate for the festivities. As we approach Easter, let’s discuss a few of these candies that hopefully won’t make an appearance in our baskets this year. I’m sure you’ve heard of Hotlix by now. For over 25 years, they’ve been making candies with insects in them. Real insects. While the act of eating insects isn’t as disgusting now as it might have been growing up (I mean, they’re a good source of protein – right? ), they don’t really yell out “Happy Easter!” They yell out nothing, really. Because they’re once-alive, now-dead insects that are coated in fruit flavoring. If you can stomach the lollipops, maybe try their lightly seasoned cheddar cheese Larvets. Yep, they’re exactly what you think they are. 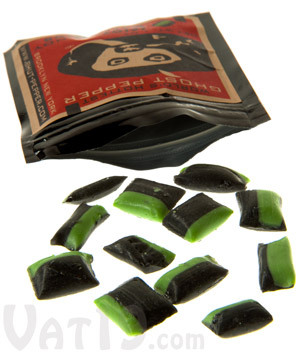 In general, yes – wasabi candy exists. And I can’t think of any holiday that it’s appropriate for, unless you want to inflict punishment on somebody. If you put these monsters in your child’s Easter basket this year, you’re just asking for a meltdown. Easter grass is a hilarious invention. First, it doesn’t resemble grass. Second, it’s thrown away mere minutes after being used. And third, it’s messy. But it’s not Easter without Easter grass. Putting candy in a basket just isn’t the same without it. If you have kids who think that bodily functions are hilarious, this might be an ideal find. But if you’re easily grossed out, this might be an unwelcome addition to your basket. The good news is that these Easter Bunnies poop out wonderful candy. The bad? Well, you might not be able to look at the Easter Bunny the same way again. Some things are just meant to be private. Harry Potter is an international treasure. While everyone was excited when these brand new Jelly Belly flavors launched (under the name of Bertie Bott’s Every Flavour Beans, to match the books), the actual flavors are pretty disgusting. Granted, Bertie Bott created his fictional beans by mistake. Candy should be sweet, right? The ghost pepper, thought to have originated in India, was awarded the honor of being the World’s Hottest Pepper in 2007. Something doesn’t seem right here. The Chocolate GoldJesus is more of a work of art. 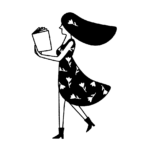 This certificated, high quality, fairly traded, organic chocolate aims to donate profits to charitable organizations, which is fantastic. Also it’s Easter related. So what’s the issue? Well, I’d have a really hard time eating this. I’d almost feel bad. I’d think of numerous excuses to save my Chocolate GoldJesus for a special occasion, but no occasion would ever be good enough. And I don’t think I’m alone, since the company has since offered a bronze statue (non-edible!) that’s made in the same cast as its chocolate counterpart. 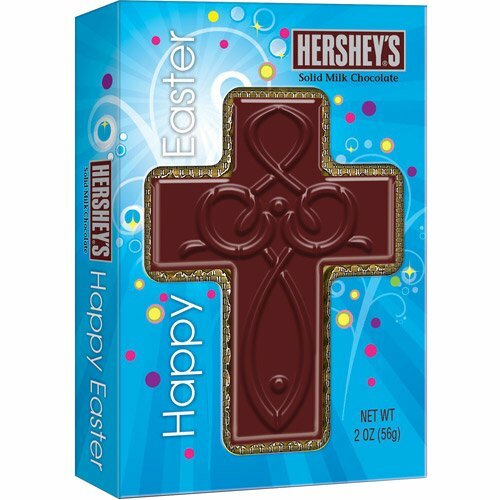 There’s also the chocolate cross, which seems even more unsettling. While it can definitely help children learn more about the religious aspects of the holiday, think about what you’re doing: You’re eating a cross. We’re used to seeing our bunnies in chocolate form – and we all know that hollow bunnies just aren’t as delightful as the solid ones. Over at ThinkGeek, they’re offering Zombie Bunnies. I love a good zombie, but – these might not be too appropriate for children. Especially based on the colors. Too much blood! If you ever wanted to know what a Zombie Bunny tasted like, the answer is simple: Cotton Candy. While the audience for this is probably your friend with a dark sense of humor (or you, yourself) the zombie theme seems like it’d be a better fit with Halloween. What are some of the weirdest things you’ve found in your Easter basket?